This is the first blog in a series highlighting Meridian’s programs with India, both domestic and abroad. Each month a different department will select and share a project that represents our work with the world’s largest democracy. The series culminates in June with Meridian’s third annual cultural diplomacy forum, this year focusing on India. March 8th marks International Women’s Day, a global call to action for all to support women’s rights and gender equality. We use this day to remind us of the great amount of work still yet the be accomplished in respect to these issues, including wage parity, political representation, trafficking, and abuse. A complex case study, India is a nation with its fair share of triumphs and difficulties in respect to women’s rights. Women have held the posts of president and prime minister in India, yet the country remains lowly ranked in the Global Gender Gap Report. 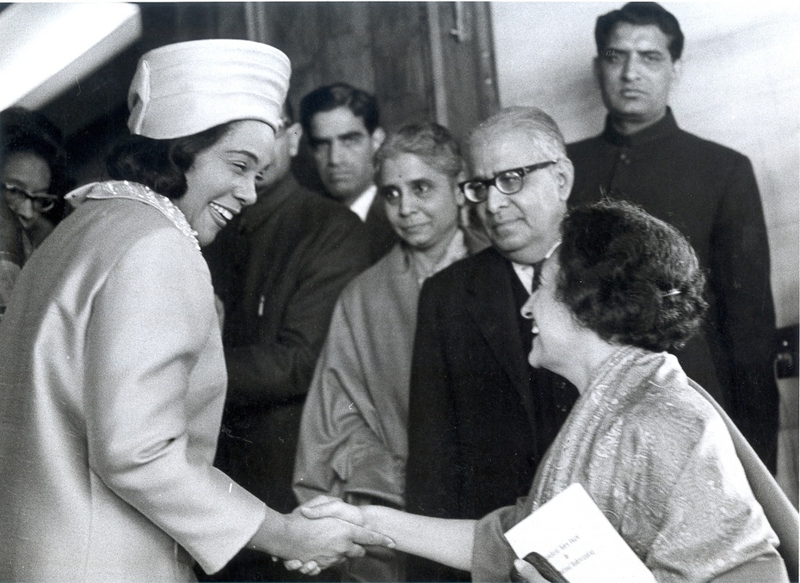 Mrs. Coretta King, wife of U.S. Civil Rights Leader Martin Luther King, Jr. shaking hands with Prime Minister Indira Gandhi on January 24, 1969. 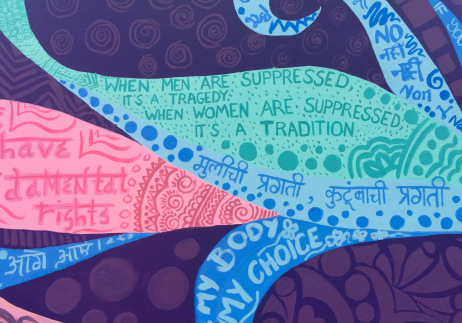 At the confluence of International Women’s Day and Meridian’s Cultural Diplomacy Forum on India, we begin our blog series by recapping one of MCCD’s most impactful Community Engagement through the Mural Arts projects. Hundreds of thousands of people have viewed the murals painted by Brooklyn-based artist Joel Bergner and local participants in Kolkata, Siliguri, and Mumbai. 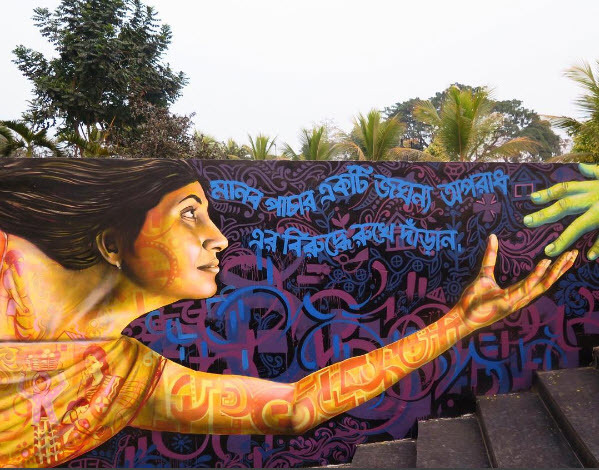 The main mural in Mumbai directly addresses the theme of gender equality. Painted with students from Sophia College, an all-girls school, one side depicts negative societal expectations and stereotypes for women while the other includes positive symbols of empowerment and self-identity. The mural was first on display at the Kala Ghoda arts festival before finding its permanent home at Sophia. At the crossroads of Nepal, Bhutan, and Bangladesh, Siliguri is a problem area for human trafficking. Bergner painted the program’s next mural there with local artists and representatives of the nonprofit organization Shakti Vahini. Depicted in the painting, a young trafficked woman named Sangeeta is displayed in a pose representing her own personal story – her ankle grabbed by a hand while she reaches out for help. On this International Women’s Day, we must not forget the vast amount of work yet to be accomplished in regard to women’s rights and gender equality. In doing so, we recognize and stand with the countless individuals and organizations, like Shakti Vahini in India, dedicated to reaching these goals every day. 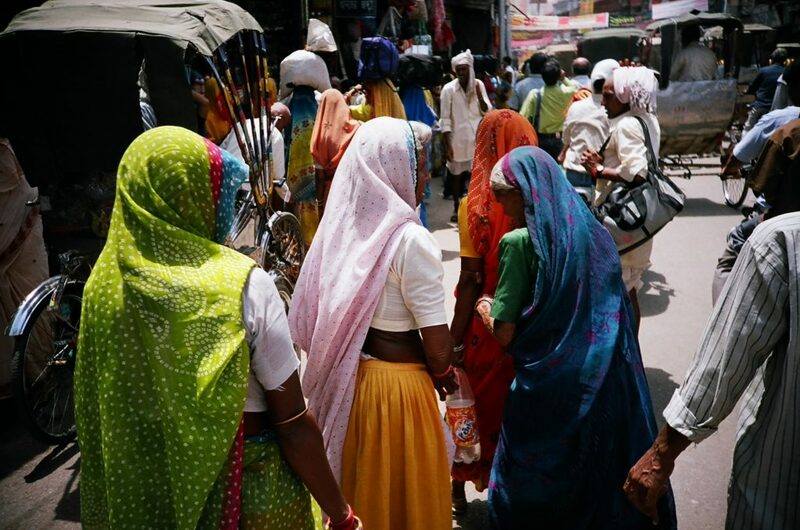 —Learn more about Joel’s work in India here and stay tuned for more highlights of Meridian’s work with India leading up to the Cultural Diplomacy Forum in June. POST TAGS: Community Engagement, culturaldiplomacy, Global Women's Issues, India, Mural Arts, women and girls.